Given an optimal investment climate and enhanced exploration activities, Ghana has the unique opportunity of maintaining its position as an attractive mining investment destination, notwithstanding the significant challenges confronting the industry, particularly the price of gold, avers Canadian midtier gold miner Asanko Gold CEO Peter Breese. This follows the acknowledgment of 2015 as a challenging year for the gold mining industry, which saw mining companies implement various cost management programmes, including rationalising labour costs to remain viable. In a few cases, mines were placed on care and maintenance, Breese notes. In November, gold traded as low as $1 051.60/oz, the lowest in nearly six years. However, the yellow metal traded at between $1 250/oz and $1 260/oz in February, improving to more than $1 270 last month, which pushed it to the brink of a bullish market. “If the price remains above $1 200/oz or increases, it will provide mining companies with some headroom to cover their operating costs and bolster their financial position,” Breese suggests, telling Mining Weekly that this would benefit the industry. According to the London Bullion Market Association’s Forecast 2016 survey, “forecast contributors are predicting that the gold price will average $1 103/oz in 2016, 1.1% higher than the first half of January 2016, although still $57 below the actual average price in 2015”. The survey further states that forecast average gold prices range between $960/oz and $1 225/oz. In the first half of the year, prices are expected to bottom out and rally in the second half, boosted by demand from investors in Europe and Asia, with support from investors in China expected to help “prop up” the price. Breese points out that global market trends impacting on the gold industry worldwide and on Ghana, in particular, include the gold price (the most critical variable), the Central Banks’ (China, the US Federal Reserve and the Bank of England’s) reaction to buying and selling gold, the strength of national economies (especially those of India and China) and their impact on disposable incomes, and the US interest rates, as well as the performance and volatility of the world’s major stock markets. According to the World Gold Council (WGC), Ghana is unlikely to have escaped the 2015 challenges facing the global gold mining industry, with indications that its gold production for 2015 was down by about 10%, WGC member and investor relations director John Mulligan says. With investors preoccupied with wider macroeconomic conditions, particularly the implications of a recovering US economy, many had turned away from gold for much of last year, he explains. This situation changed towards the end of 2015, with a reappraisal of the global risk environment and levels of gold demand recovering strongly, as did the fortunes of much of the gold mining sector, Mulligan highlights. This trend has continued in 2016, with the market and miners in a “healthier condition” than they have been for several years, he notes, adding that “falling currencies in producer countries, including Ghana, have also helped bolster many gold miners”. Traditionally, gold is a major source of foreign exchange (forex) for financing Ghana’s import bill and of revenue to meet domestic expenditure, says Ghana Chamber of Mines (CoM) CEO Sulemanu Koney. Despite price and output having “trended southwards” in recent years, gold’s economic contribution continues to be robust, he points out. In 2014, the minerals sector accounted for 16% of direct domestic revenue, mobilised by the Ghana Revenue Authority, while gold export receipts represented a third of merchandise exports in 2015. Consequently, the Ghana CoM expects the performance of the mining industry to continue being a predictor of the country’s health. The country has scored “relatively well” in terms of being ranked as Africa’s third-most attractive mining investment destination, according to the Fraser Institute’s recent analysis of the general appeal to investors of and ease of doing business in key mining jurisdictions, Mulligan highlights. According to the WGC’s sources, Ghana’s current yearly gold production, between 95 t and 100 t in 2015, places it in tenth position worldwide and second in Africa. Gold currently contributes more than 95% of the country’s total mineral revenue, according to the International Council of Minerals and Metals and the Ghana CoM ‘Mining in Ghana: What future can we expect’ report published in July 2015. The WGC estimates that, in 2013, gold mining represented more than 14% of Ghana’s gross domestic product, with its economic contribution having increased by more than 500% since 2005. In recent years, gold has also accounted for about 25% or more of the country’s export value. Further, the WGC identifies 89 formal gold projects – excluding the informal and artisanal sectors – in either development or operation in Ghana, with at least 11 producing mines of scale. Some mines are due to start production between 2016 and 2019, with additional output from new mines expected to also contribute to higher aggregate gold output, adds Koney. Miners advancing exploration and operations include Newmont Mining, which reports that it is “on track” to reach its 2016 production target of between 760 000 oz and 820 000 oz for its Akyem and Ahafo mining projects, in Ghana. Exploration and development company Cardinal Resources aims to fast-track drilling at its Namdini project, in the Bolgatanga municipality of the Upper East region. 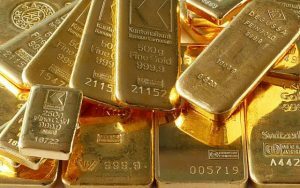 Media reports noted last month that the company could be on the verge of a significant gold discovery in Ghana. Asanko Gold is the newest-producing gold miner in the country, having achieved first gold pour at its Asanko gold mine in January, after operations of the entire processing facility started one month ahead of schedule. About 400 oz was produced just from the first gold pour, with more produced since then; however, the first-quarter production results are yet to be announced, Breese notes. The recent commissioning of the first phase of the mine will contribute significantly towards sustaining the country’s overall production at current levels, he says. Phase 1 is targeting an average of 190 000 oz/y over the life of the mine and the company remains confident of declaring commercial production in the second quarter of this year. However, the chamber expects gold output to dip marginally this year, despite the fresh output expected in general. Koney says that it is unlikely that production from these new mines will fully compensate for decreases in production from existing mines. “As most mines approach mid-age, the growth in output is expected to slow down and, against this backdrop, gold output declined steadily from 3.2-million ounces in 2013 to 2.5-million ounces in 2015,” he concedes. The chamber believes that Ghana “is gradually losing its competitiveness as the pulse of mining in West Africa”. Gold production from small-scale and illegal mining continues to increase, with output representing about 34% of national production in the past few years, Koney says. The artisanal and small-scale mining (ASM) sector also accounts for the livelihoods of about one-million Ghanaians and about three-million dependants. Having suffered from incursions of illegal mining activities at its idled Obuasi mine, gold miner AngloGold Ashanti is working with the police to prevent the expansion of illegal mining beyond the northern extremity of its lease tenement at its gold mine, Mining Weekly reported last month. Despite the surge in illegal mining, particularly the encroachment on concessions of large-scale mines, Koney states, Ghana has sufficient laws to curtail the rise, with the chamber having impressed on government the importance of enforcing them. “As the gold price has decreased in the past few years, it will be good to formalise that segment and implement policies that will get the players to make significant contributions to the national kitty. Their formalisation and regulation should reduce their environmental footprint,” he adds. Ghana’s parliament passed the Minerals and Mining Amendment Bill 2014 in November, which prohibits illegal mining without a licence, criminalises illegal mining and authorises government to confiscate equipment used in such mining. A group of leaders, known as the Learning and Leadership Group, has developed an agenda for action that includes demonstrating the “business case” for responsible ASM, improving practices within this sector and building support across Ghanaian institutions for ASM as a force for positive growth and equity in the country. Minerals Commission CEO Dr Toni Aubynn notes that a major shift is needed, from an ASM sector “driven by poverty and a lack of options to ASM operations that are run like efficient businesses with adequate access to finance”. A participatory sector reform process started in January 2015 in Tarkwa, where a group of leaders decided to guide a process of transformation in the ASM sector, following an “action dialogue” that brought together 60 representatives from across Ghana. The event was convened by nongovernment organisation Friends of the Nation, with support from the UK-based International Institute for Environment and Development’s ASM dialogues programme. Ghana was the first country chosen for an ASM dialogue, owing to the growing economic and livelihoods importance of the sector, and the commitment of ASM leaders and institutions. With regard to the challenges of the high fiscal burden, the Ghana CoM has called on the country’s government to recast the fiscal laws to reflect the state of the industry. “The chamber advocates to ensure that Ghana’s fiscal laws are not markedly at variance with the global trends in the mining industry to continuously attract investment. Hence, if prices of the minerals are going down globally, the statutory fiscal burdens (high taxes, the cost of inputs such as electricity and challenges with forex) on the companies should follow the same trend and vice versa,” he adds. Koney says the chamber is specifically advocating a sliding scale regime that not only encourages investment but also ensures that investors and the country/State benefit simultaneously when prices are good. However, he adds that the revised Income Tax Act No of 896 of 2015 has provisions that are inimical to the growth and development of the mining industry. Therefore, the chamber is actively liaising with the Ministry of Finance and the Ghana Revenue Authority to resolve these challenges. Meanwhile, the government of Ghana has collaborated with South African gold mining company Gold Fields, concluding an agreement where the miner’s effective corporate tax rate will be cut by 2.5% – from 35.0% to 32.5%. The Ghana government has also committed itself to putting the royalty rate on a sliding scale from the first day of next year, Mining Weekly reported late last month. The term of the tax cut began on March 17 and is for a period of 11 years for the Tarkwa mine and nine years for the Damang mine. These are renewable for an additional five years. Gold Fields commended the government of Ghana “for creating a fair and competitive environment in the country”, according to a statement released last month. Breese, however, reiterates the significant opportunities for new gold discoveries in Ghana, given the exploration that has been conducted to date. Similarly, Koney stresses the broad investment opportunities in mining, suggesting that, as the industry matures, it is important that the country reconsiders its value proposition appropriately. “Ghana should seek to diversify its minerals production base and also focus on the local production of inputs for mine operation,” he suggests, adding that this will help integrate the mining industry more optimally into the non-mineral economy. Further, role-players need to identify which part of the value chain they would like to exploit, he adds. Koney concludes that exploration and development hold the key to the future of sustainable mining and economic development in the country, with these aspects of mining resulting in incentives to enhance investment in the country.